This reaper is a spooky greeting for your neighbors and guests. It lights up and self-inflates in seconds. Comes with everything needed for easy outdoor setup. Anyone who loves dragons will love this amazingly detailed piece for their collection. The fiery red and smoke finish, sharpened talons and detailed wings, this dragon is ready to take off as the center of any Halloween fantasy display. A hauntingly beautiful display piece, this item is a must for anyone looking to stand out from the ordinary. 9 ft. Airblown Inflatable Reaper Outdoor Halloween Decoration This reaper is a spooky greeting for your neighbors and guests. It lights up and self-inflates in seconds. Comes with everything needed for easy outdoor setup. 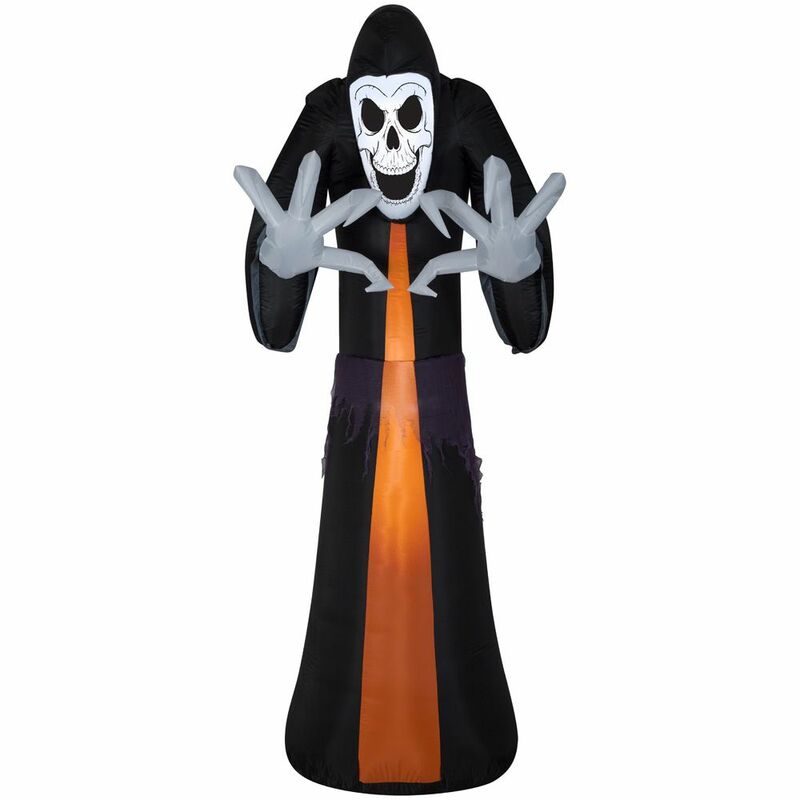 9 ft. Airblown Inflatable Reaper Outdoor Halloween Decoration is rated 5.0 out of 5 by 1. Rated 5 out of 5 by Lena from Looks cool. Happy with the product, great quality. Received many compliments.